Like the Right Bunker, another huge cave with steep overhanging routes. About 100' left of the Right Bunker. Does anyone know the story on this line created by the large separated block? close up of the block route; theres a bolted anchor with a set of rings just above it hanging from the roof. 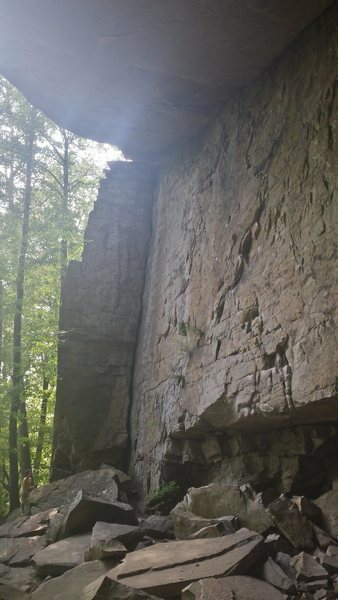 The route you have pictured goes at 5.8. 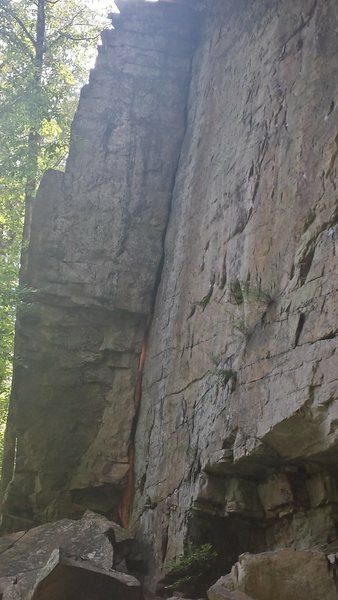 It's a fun offwidth start with a slightly tricky transition into the hand/fist sized middle section. A #4 BD cam fits about 15ft up, so bring something bigger if you want to protect it lower down.